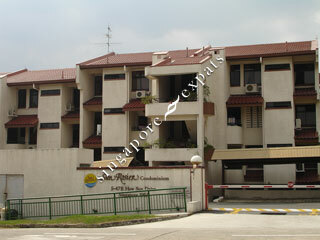 Sun Rosier Condominium is located at How Sun Drive off Bartley Road. This area consists of mostly private landed residential and condo developments. The up-coming Bartley MRT Station will be directly across the street. Sun Rosier Condominium is with 5 minutes drive from the popular Sserangoon Gardens, in which amenities like restaurants, shops, markets, cafes can be found. Sun Rosier Condominium is accessible via the nearby Central Expressway (CTE) which leads directly to Orchard Road and the Central Business District. Public transport like buses and taxis are easily accessible along Bartley Road. Cosy Spanish design with big balcony facing pool and greenery.